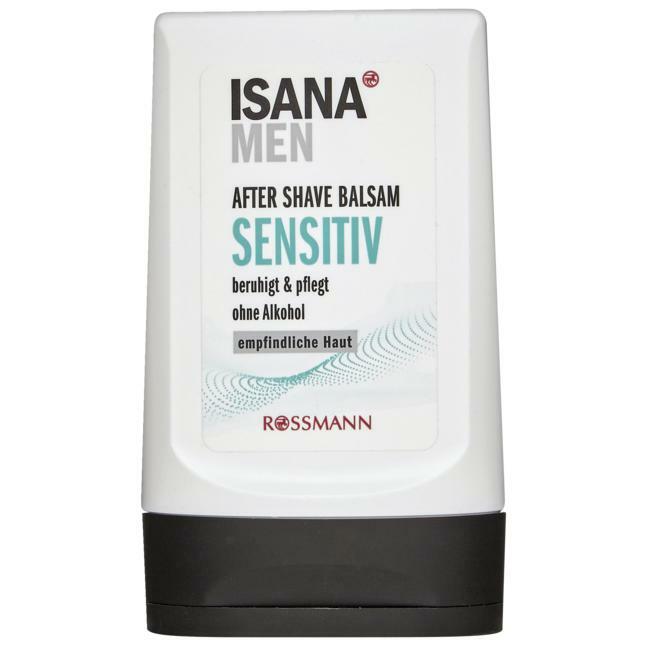 ISANA MEN After Shave Balsam für die Extra-Pflege der beanspruchten Haut nach der Rasur dank wertvoller Inhaltsstoffe. ISANA MEN - was braucht Mann mehr?! Aqua, Glycerin, Caprylic/Capric Triglyceride, C12-15 Alkyl Benzoate, Polyglyceryl-3 Methylglucose Distearate, Cetearyl Isononanoate, Panthenol, Persea Gratissima Oil, Chamomilla Recutita Flower Extract, Calendula Officinalis Flower Extract, Glycine Soja Oil, Allantoin, Bisabolol, Propylene Glycol, Tocopherol, Parfum, Farnesol, Carbomer, Sodium Hydroxide, Citric Acid, Potassium Sorbate, Sodium Benzoate, Phenoxyethanol, Benzoic Acid, Dehydroacetic Acid.